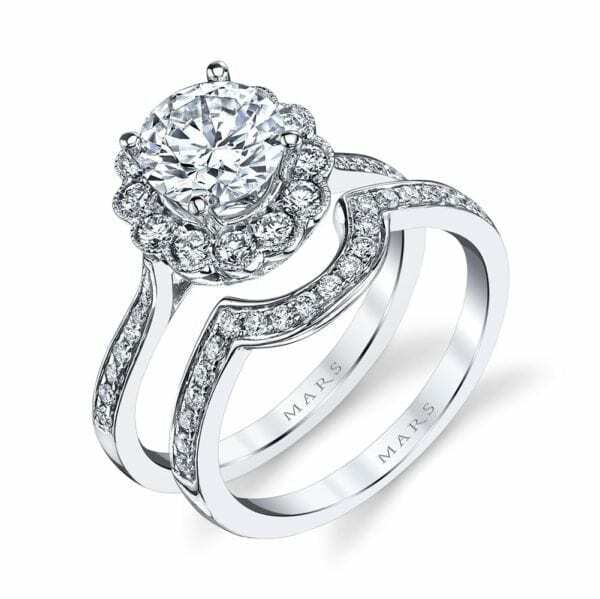 Decorative floral engagement ring with scalloped halo and milgrain detailing. 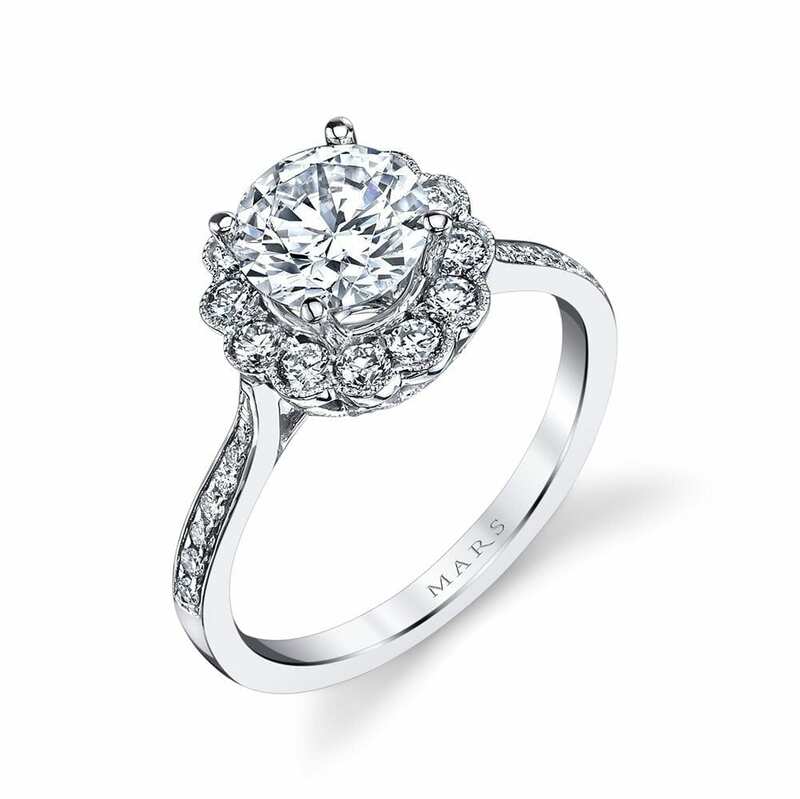 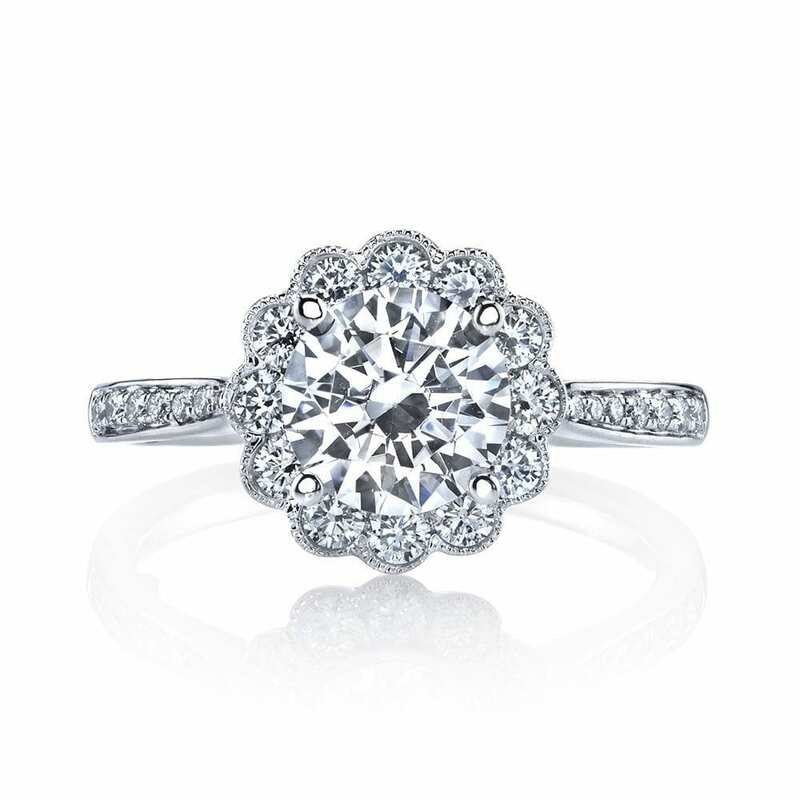 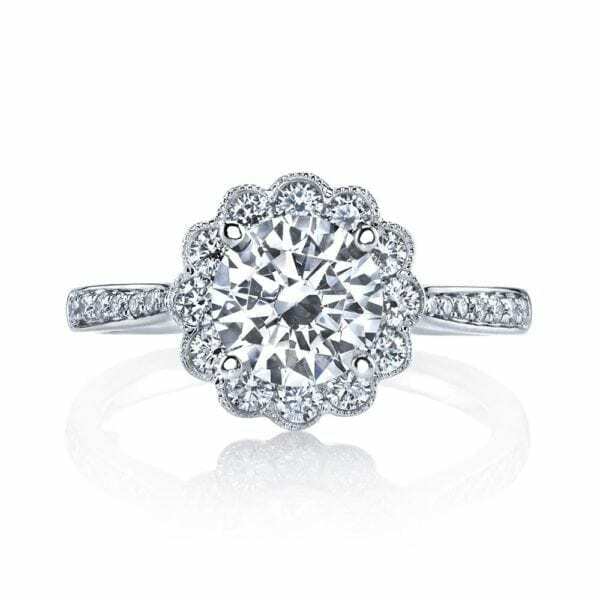 This engagement setting features a: Scalloped petal halo; Embellished profile design; Intricate metalwork. 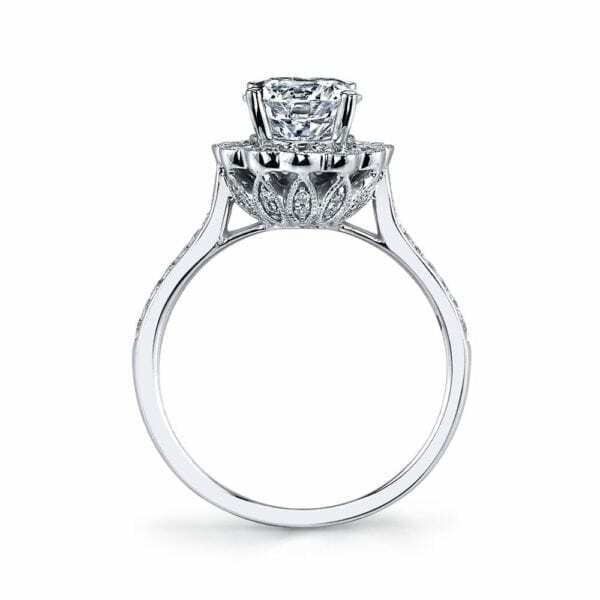 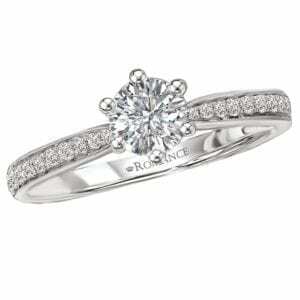 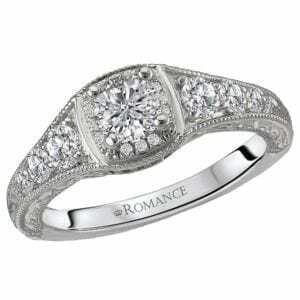 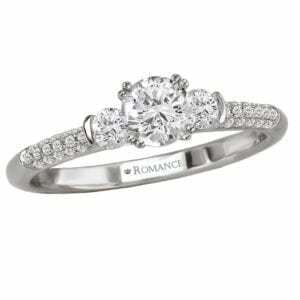 Shown in White Gold with Round 1.00 Carat Center. Price does not include center stone. 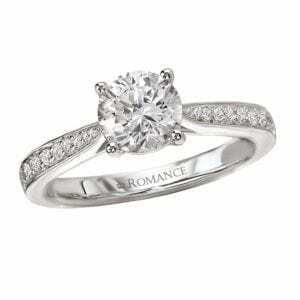 Side Stones: 0.60 ctw diamonds.